Your scale. You know that awful thing staring at you from the corner of your bathroom. My guess is that either you avoid it like the plague because you’re scared of the numbers. Or you are on it obsessively trying to monitor your weight. I have been on both ends of the spectrum. There was a period of time when I would weigh myself every hour on the hour just to be sure the needle didn’t go up at all. And if I was lucky, maybe it would go down. And then there were long stretches of time when I wanted to know how much I weighed but I was terrified of how far that needle would rise. So I just ignored it and was in denial about my weight gain. Here’s the thing. You don’t need a scale. A scale could ruin you and your ability to get healthy and happy… especially happy! Scales rarely bring happiness to someone’s day. How often do you look away at the doctor’s office when it’s time to get weighed? Most people have a negative association with weighing themselves, yet at the same time, they feel the need to keep a scale in the bathroom. Let me set the record straight and tell you the top 5 reasons for why you should THROW AWAY YOUR SCALE TODAY! 1. It Ruins Your Day. You may have woken up in an amazing mood. On top of the world. No one can shake you. You were determined to have a fantastic day. You turn on the shower and strip down to your birthday suit. Maybe even dance around a bit. Then you step on that nasty scale and you aren’t 100% happy with the number glaring back at you. Within seconds, your mood has changed. That’s all it takes to turn a good mood into a bad one. You no longer have that hop to your step. You wear clothes that hide your body because it’s not what you think it should be. And you just aren’t as confident. 2. It Messes with Your Natural Hunger Cues. This may sound silly, but it’s absolutely true. If the scale goes up from the day or week prior, our minds do something tricky. They start telling us to ignore our body’s natural hunger signals in exchange for the “weight loss” signals that are in our head. Our head knows that if we eat a little bit less or ignore that growling stomach until it surpasses, the number on the scale will gradually go down. You may convince yourself that you only need one piece of fruit to curb your appetite when really you should be eating a full meal. Unfortunately, over time, the only thing this does is messes up your hunger signals to the point where they just don’t work right anymore. At that point, it’s very hard (but not impossible) to re-learn what your hunger cues even feel like. 3. It Doesn’t Measure Your Health. Many people are of the belief that if you weigh less, you are healthier. That is absolutely 100% not true. I know many underweight people who are very unhealthy. I also know people with BMI’s that appear to be in the “healthy” range that aren’t at the top of their health game either. On the other hand, there are many people who may not look healthy but are very physically fit. You absolutely cannot judge your health based on the number on the scale. Only a doctor and different medical tests can determine your health factor. 4. It Isn’t Always Right. This one’s plain and simple. Some scales just aren’t right. I swear, I was always a different weight on all different scales. I’d be thinking I was doing “okay,” but then I’d find myself on another scale that measured in 5 pounds heavier and I was all discouraged! 5. Scales Cannot Measure Your Value. This is the most important reason why your scale needs to take a hike. It may measure your weight, but your weight means nothing. It is not what makes you you. You are made up of your talents, your soul, your values, your morals, your love, your thoughts, your dreams. So on and so on. 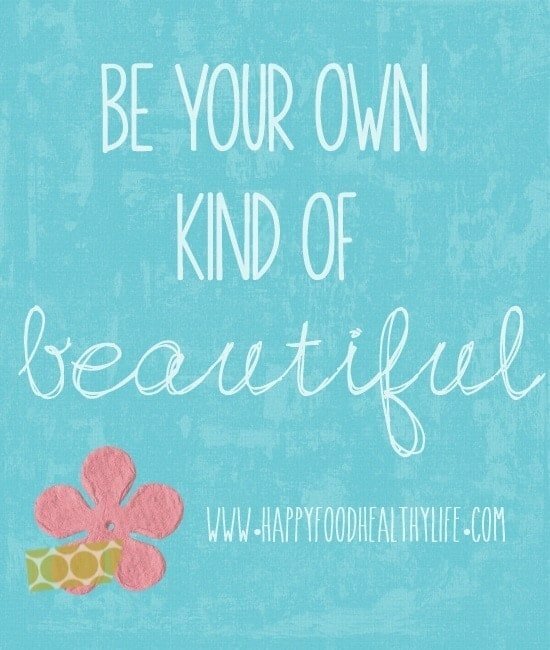 So many things make you the amazingly beautiful person that you are, and your weight is not one of them. The number on the scale is only a surface-level physical trait of your being. Focus on the wonderful traits that make you who you are on the inside. I love this. I don’t own a scale for many reasons and these are a few. I feel like we are already bombarded with so manny body image issues, that we don’t need to create more of our own. I love that you are focusing on that here. Following!